According to reports, the Apple iTV is already in production. And, just as importantly, Apple apparently has partnered with a trio of big-time pay TV operators, though perhaps not the ones you’d think. Jefferies: We are including 2 million iTVs in our model (assuming early 2013 release) at an average selling price of $1,250. Jefferies thinks you can either buy a premium Apple television and use AT&T or Verizon for content OR buy just a cable box for Comcast etc. So, a whole bunch of threads just came together and it all makes sense. Tapscape has previously reported that Apple’s pay TV operator talks have centered on the hockey puck Apple TV and/or the same reduced to an HDTV component. Now we “know” — Apple is obviously saying nothing — that Apple is launching a multipronged effort, featuring the long-rumored Apple iTV and their stand alone set top box. Two million Apple iTVs at $1,250 — these are difficult numbers to asses, though that price is certainly a premium. Could Cupertino be shooting for a screen larger than 50 inches? And, given the recent news that DSL providers are losing internet subscribers to cable, it’s interesting that AT&T and Verizon feature here so prominently. Sounds disruptive, sounds like Apple. Toss in the Cloud DVR concept, which rumor says gives subscribers instant content access and flexibility in the presentation, and Apple’s living room play is getting more and more intriguing. What’s your take on the Apple iTV? 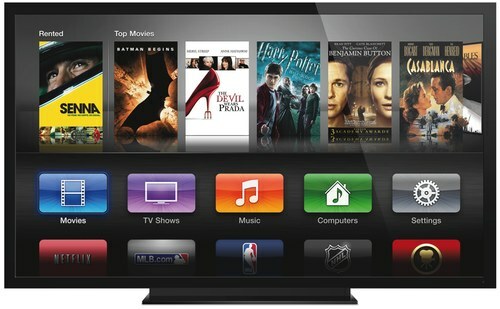 Do you think we’ll see an Apple Television this year?